Golfers are leaving the golf course, headed for home. A motorboat leaves in its wake a long trail of foam. There are bulls here, but none that Europa has ridden. Death is absent, or else remains distant and hidden. That is why all are naïve and forthright and free. with her snow-white smile rolls over the land anew. To multiply time, time must be shortened too. There are things to forget, to get moving, rubbing one’s eyes. One has to remain both here and back there, in some wise. What has weight, like a syllable, has no soil or address. It’s water-and-sky. America, may God bless. The early chapters, about growing up in Redlands, California in the twenties and thirties, are particularly good. The things he notices and chooses to mention are often surprising. I just received the sad news of the death of Regina Derieva, a wonderful Russian poet with whose works I have been involved over the years as a translator and admirer. Her range was remarkable; she wrote both formal and free verse as well as numerous works in prose. As a “classical” poet, she was heir to the Acmeists. The religious component in her poetry is strong; she was a convert to Catholicism. For the last decades of her life she lived in Sweden. She leaves behind her husband, Alexander Deriev, an icon painter and founding editor of the journal Ars Interpres, and a son, Denis Deriev. with fleeting space around and inbetween. the way the creature wonders about God. creation needs no legs, and goes unshod. and every breeze ecstatically aquiver. 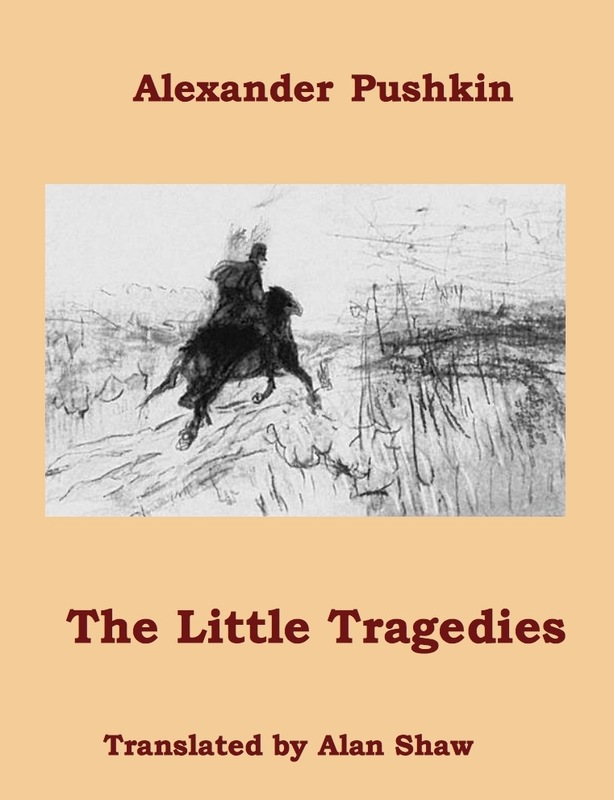 My translation of Pushkin’s Little Tragedies, with an Afterword, notes, and other material, will shortly be available as an ebook, purchasable as a pdf download from this site, and I plan to make a Kindle version available soon after. The translation of Mozart and Salieri will continue to be separately available as a free download. You are currently browsing the Uncategorized category at Spoken and Sung.